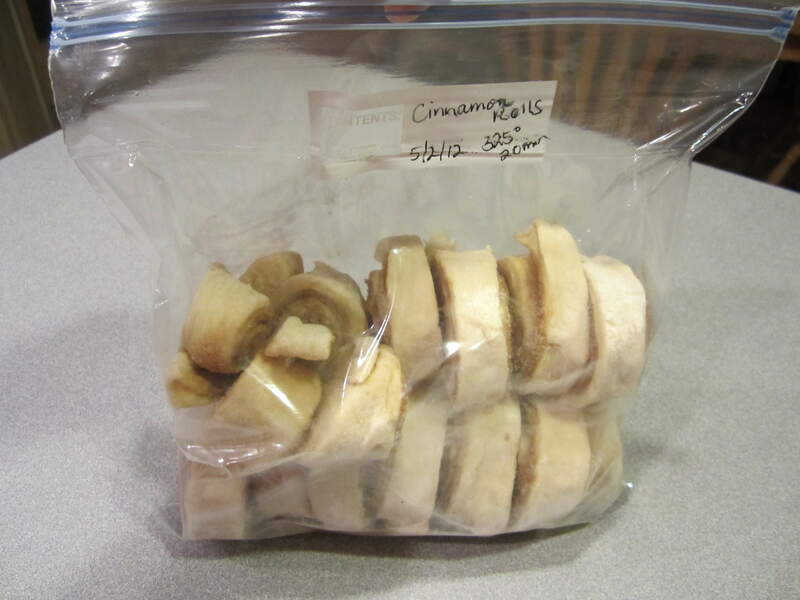 Today’s freezer cooking session focused on cinnamon rolls…yum! My most favorite part of this recipe is just being able to dump the ingredients into the bread machine and walk away for an hour and a half. I threw everything into the machine after lunch, and then went to work on the blog for a bit while it mixed. 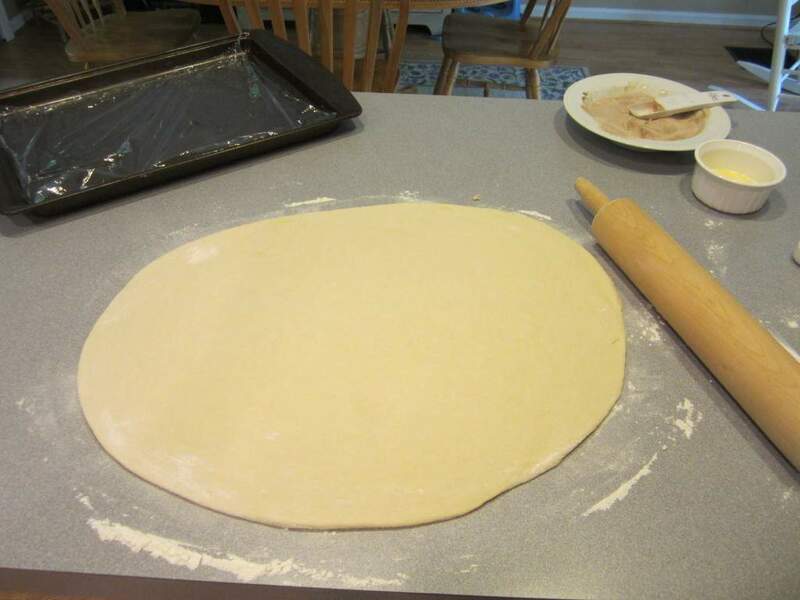 After the dough was finished, I rolled it out directly on the clean kitchen counter. The first time I made these rolls, I learned that you need to flour your surface really well, or they will stick and make it very difficult to roll up. 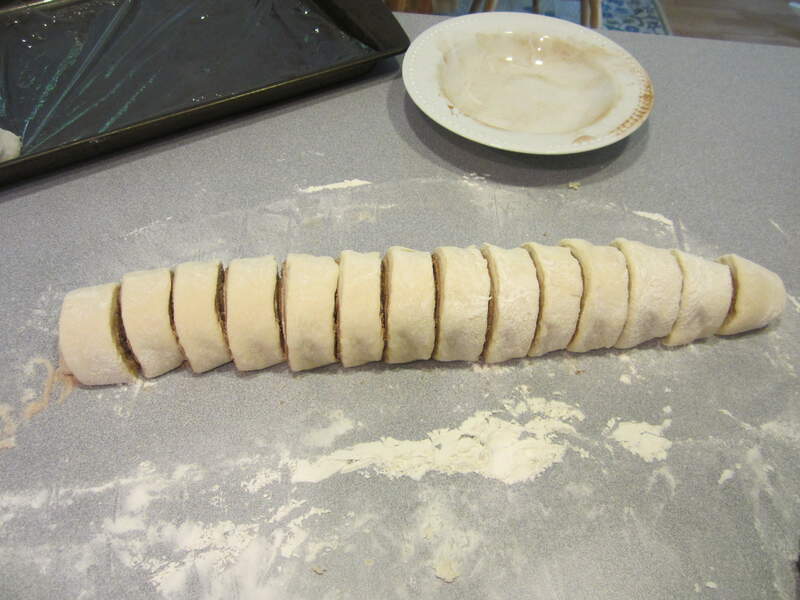 After slathering on the butter, sugar and cinnamon, I rolled the dough up and sliced it into rolls. I placed the rolls onto a cookie sheet, covered them with plastic, and popped them into the freezer. When the rolls were solid, I took them off the cookie sheet and placed them in a freezer bag for easy storage. I think the best part about this recipe is that you don’t have to bake them all at one time…if you only need a few for breakfast one morning, you take out what you need and keep the rest in the freezer. Definitely a strategy for keeping your calorie intake under control! What a great idea freezing them before baking. 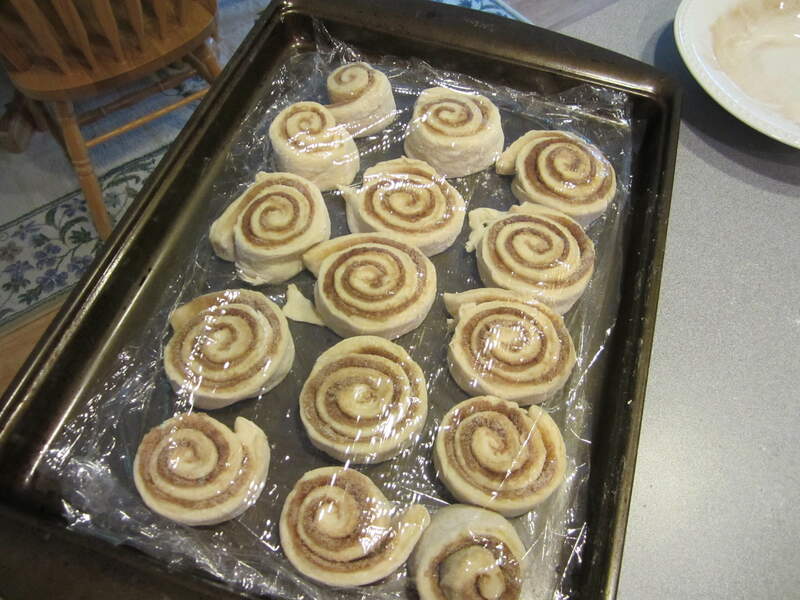 I know you can buy cinnamon rolls in the freezer section unbaked but I never thought of doing it this way at home. 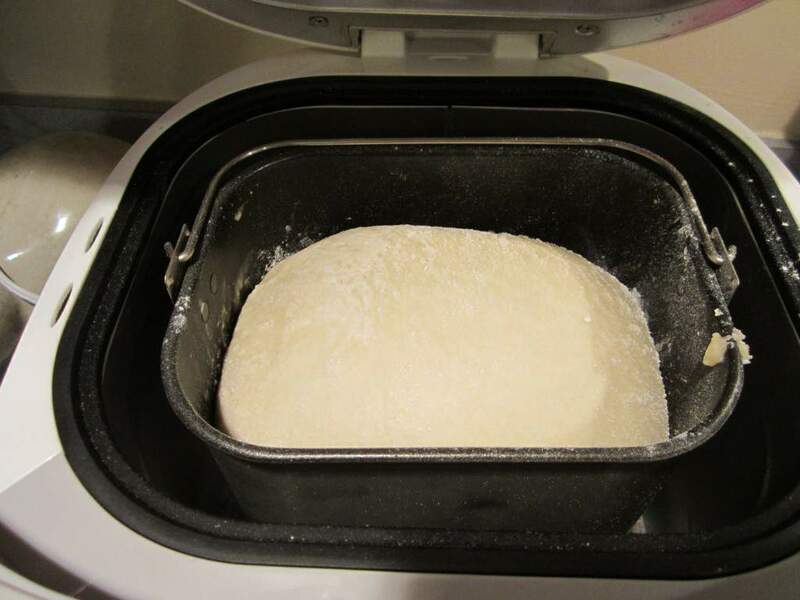 Do you just thaw, let rise and then bake? I never thought to do that, I just saw it on Crystal’s site. It’s such a good idea! This is a great idea. I make the recipe from an old index card that my husband made in home ec in middle school but I changed it to use the bread maker. The recipe calls for butter, sugar and cinnamon inside and then when you bake it, you put brown sugar and butter in the bottom of the pan. I think that is the gooey stuff that most people remember about cinnamon rolls but I totally think that white sugar is best inside the roll 🙂 I am going to have to freeze some ahead of time because I have made them a few times and we always eat the whole pan and feel bad about it later. I do make the cream cheese glaze ahead of time and freeze so it can be squeezed on as necessary.